There are so many amazing boots this fall that I'm beside myself with options. Flat, wedge, peep-toe, sky high - what ever your heart desires there are a plethora of choices. For now though, instead of online shopping for things I can actually afford, I'm dreaming big (especially of Isabel Marant's leather and corduroy wedge boots). Below are just a few designer booties to lust over. I'm loving the details incorporated into booties this season: metal accents, bows, buckles, fringe, glitter...I want it all! For those of us with more realistic budgets, below are some of my favorite flat ankle boot, wedge booties, and fashionable heel booties. 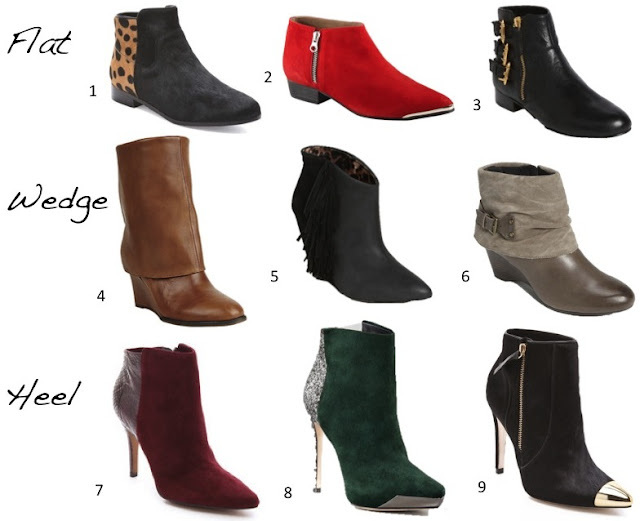 Love booties and particularly loving those ones with the cap toe!! fab! Oh my goodness.... this collection of booties has me breathless. I especially love the red booties with the bow. So fun! I can't decide which one I love most! I'm so into ankle boots this year. I haven't liked them that much for years (maybe since I wore my favourite pair of ankle boots to death, I didn't want 'replacement' shoes), but this year they are amazing. Love that suede and glitter number! Such cute booties! I love the #1 Rebecca Minkoff flat ones, so cute. I was hoping the post title referred to some sort of Magic Mike situation. EKKKK! The Alexandra McQueen and the Brian Atwood are my faves. Love the choices. First time to your blog, so I'll be back. Come by and see what I'm inspired by. I LOVE those Dolce Vida flat booties--I wish I had seen them before I bought my current pair! You are right..the options are seriously endless !! I am searching for the perfect pair of booties as we speak ! 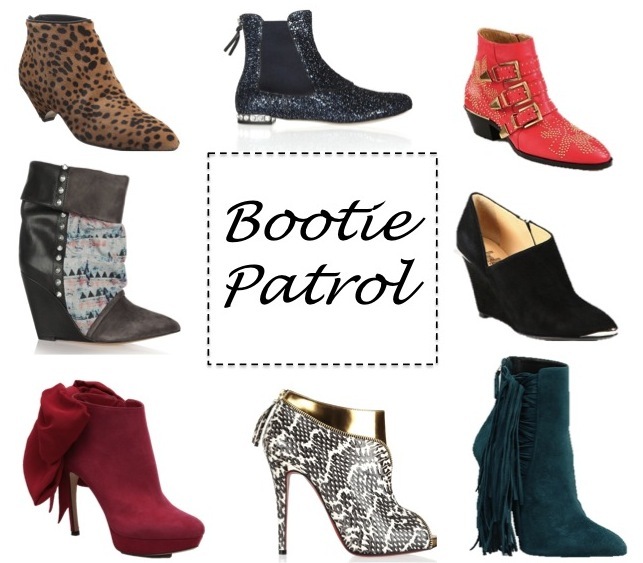 I am so in love with booties this fall! I love the ones with the bow! i love seeing booties on other people, but have never been brave enough to try them out myself! loving your picks though!